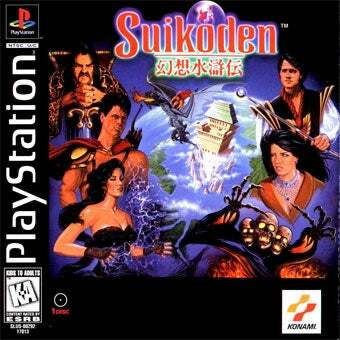 Konami has added another PSone classic to the North American PlayStation Store, following up last week's release of Castlevania Chronicles with the first in its role-playing game series Suikoden. You know the drill, seek out the 108 Stars of Destiny to aid them in overthrowing the corrupt government and navigate plenty of menus while doing so. Also, do your best to forget that awful "localized" cover art. Konami reps say the game is available on the PlayStation Store right now, but I'm far away from my PlayStation 3, so I'll have to trust 'em. Price to you is just $5.99 for the playable on PSP and PS3 PlayStation game. Much cheaper than trying to score a copy off eBay.